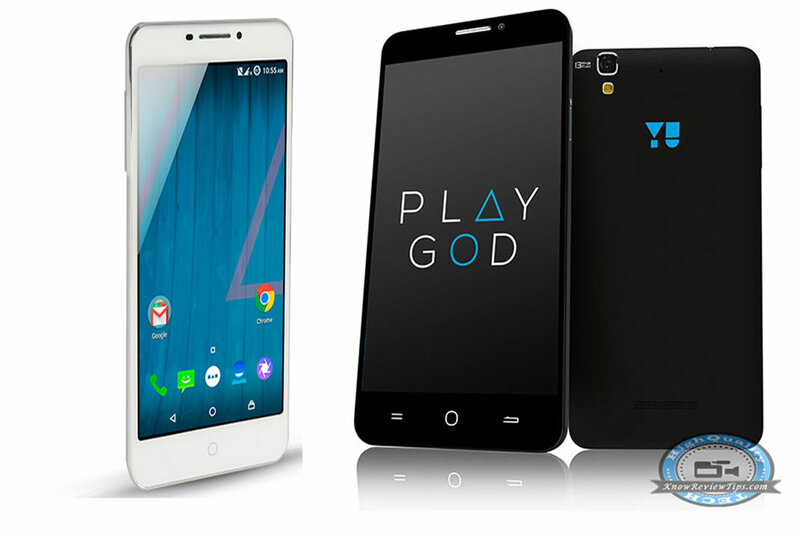 YU Yureka Plus YU5510 is the newly launched android smartphone from Micromax. The MMX Yu Yureka Plus YU-5510 is the improved version of Yureka AO5510, that was launched last year. Most of the specifications of the phone are similar to its predecessor, apart from the new Full HD 1080p display. It will mainly compete ( VS )with recently launched Lenovo K3 Note, Xolo Black, Huawei Honor 4X, Htc Desire 826, OnePlus One, Xiaomi Mi4i, Mi4, Xiaomi Redmi Note 4G, YU Yuphoria YU5010, Lenovo A6000 Plus and Intex Aqua Power HD ( review & unboxing ). The YU Yureka Plus YU5510 comes with 5.5 inch Full HD 1920 x 1080 pixels IPS display at 400 ppi with Corning Gorillas Glass 3 protection. It is powered by 1.5GHz Octa core processor based on Qualcomm Snapdragon 615 MSM8939 chipset integrated 2 gigs of RAM. To better graphics and smooth game play there is Adreno 405 GPU. The Yureka Plus YU5510 is DUAL SIM phone with 4G Cat 4connectivity. It runs on Cyanogen 12 OS based on Android 5.0 Lollipop. It is accomplished with 13MP primary shooter with LED flash and a 5 megapixel front camera. It packs with 2500mAh battery, which seems to be OK (but not really). The Yu Yureka + has 16GB of internal storage out of which 12.5Gigs is available for the user and you can expand the storage up to 32GB via micro SD card. It also has USB OTG support. Some of its rivals also includes A7000, Asus Zenfone 2 ze551ml ze550ml , Zenfone 5, MMX Canvas Nitro 2 E311, Canvas Spark , Samsung Galaxy E7 / E5, SM Galaxy Grand Max, Gionee S7, Infocus M2 Plus, Samsung Galaxy Note 3 Neo and Galaxy E7 / E5 considering the specs. YU Yureka Plus YU5510 will be available from Amazon in MoonDust Grey finish and Limited Edition Alabaster white colors. The first Flash sale will begin on 24th of July on Amazon.in and registration for the phone has been started. Here are some tips for Buying the phone easily from the online flash sales on Amazon. Great phone but, battery is disadvantage. What do you think? Yes, but still OK considering the price.